The State Board of Education meeting in Vancouver invited a few schools in the Clark County area to send students. The student input was part of a statewide outreach as the board developed its five-year strategic plan. They wanted students to let them know new, more effective ways to improve student engagement at the school, district, and state level. Bridget Donaldson and Matthew Torres were selected to attend from Ridgefield High School. They joined students from Fort Vancouver High School and Hockinson High School on the half-hour long panel. Some of the advice the students offered was to be more proactive about letting students know when district and state board meetings are held and to engage students in sharing their perspective on a wide range of issues. The Washington State School Board 2019 – 2023 Strategic Plan has just been completed. One of its key goals is to ensure that all students are able to engage in their schools and their broader communities. It is available on their website at http://sbe.wa.gov/about-us/strategic-plan. 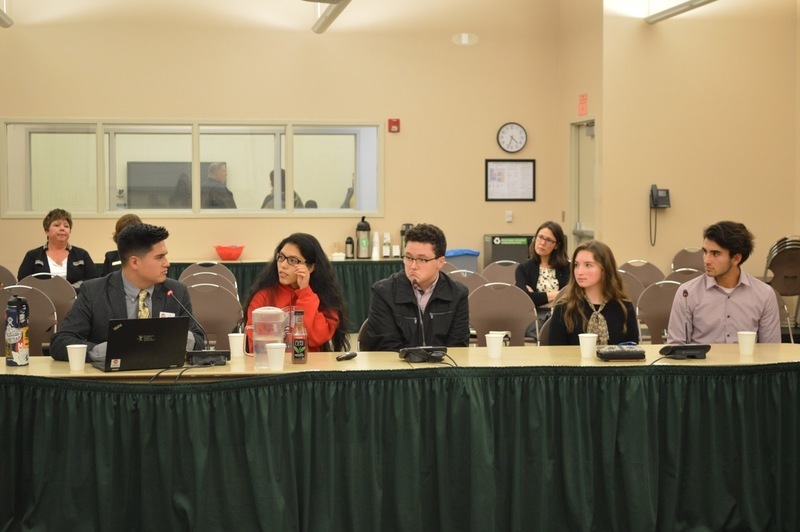 Bridget Donaldson and Matthew Torres (pictured at right) participate in panel at Washington State Board of Education meeting.